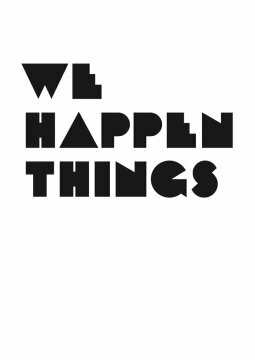 “We Happen Things #3 — a meeting” is a reflexive project initiated and curated by Manon Santkin, Moa Franzén and Tove Salmgren, that invites to (self)reflection around (artistic) practices; as performer, artist or audience. 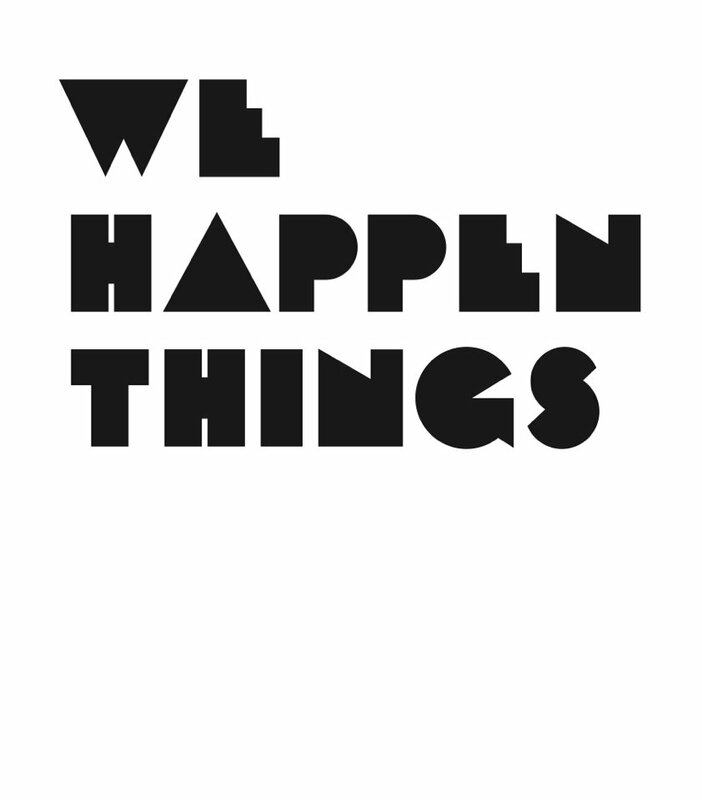 “We happen things #3” starts at 7 pm – please be in time. The meeting will be around 3 hours long, doors will be open, and so will the foyer café (cash only). Moa Franzén (b. 1985) is an artist and writer based in Stockholm. 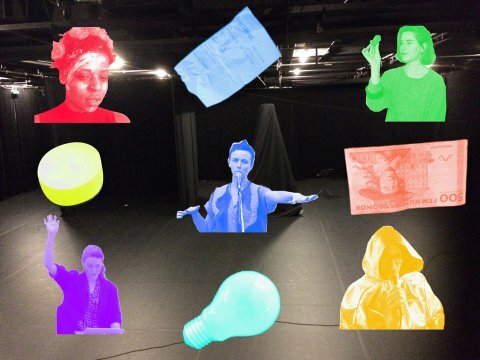 Her practice encircles writing and performance and places itself in and between visual arts, choreography and literature. Franzén’s work evolves around the relation between language and violence, rethoric and ideology, body and power, and often uses low valued and contradictory and complex acts and expressions – like silence, absence and stillness – as tools and expressions for agency and resistance, by directing attention to and displacing hegemonic narratives, acts and forms. Franzén has a BA in Visual Arts from The Royal Institute of Art and Kunstakademiet in Bergen, and a MA in Choreography from New Performative Practices at DOCH. She has shown work nationally and internationally, as well as curated a range of performance events and seminars and has been published in a number of publications and magazines. She also works editorially for the literary magazine Kritiker. Tove Salmgren works with performance, dance and choreography, as an initiator and collaborator in various artistic contexts and formats. She is active as a dancer, choreographer, curator and educator and has an MA in New Performative Practices from DOCH, Stockholm. Her artistic practice is about activating a critical discourse on subjectivity and power, which often happen through a laboratory mode of adressing hegemonic structures within the field of dance and choreography itself. She is involved in various artistic collaborations such as with The Blob (Anna Efraimsson), where play/institution/critique are being coupled, in the curatorial collaboration We happen things with the artists Manon Santkin and Moa Franzén and together with the artist Kajsa Wadhia she is runnning Köttinspektionen Dans, a platform and venue for experimental dance and choreography in Uppsala, Sweden. Manon Santkin (b. 1982) is a freelance artist. She works between Brussels and Stockholm. Within the field of the Performing Arts, she operates as a dancer, choreographer, artistic advisor, process assistant and writer. She graduated from P.a.r.t.s. in 2004 and recently finished a Master in News Performative Practices at Doch, part of the University of the Arts in Stockholm. She has been collaborating with choreographers Mette Ingvartsen, Salva Sanchis, Xavier Leroy, Sidney Leoni, Eleanor Bauer, Cecilia Lisa Eliceche, Daniel Linehan and Leslie Mannès. She also develops projects with sound artist Peter Lenaerts and with designer Nicolas Couturier. 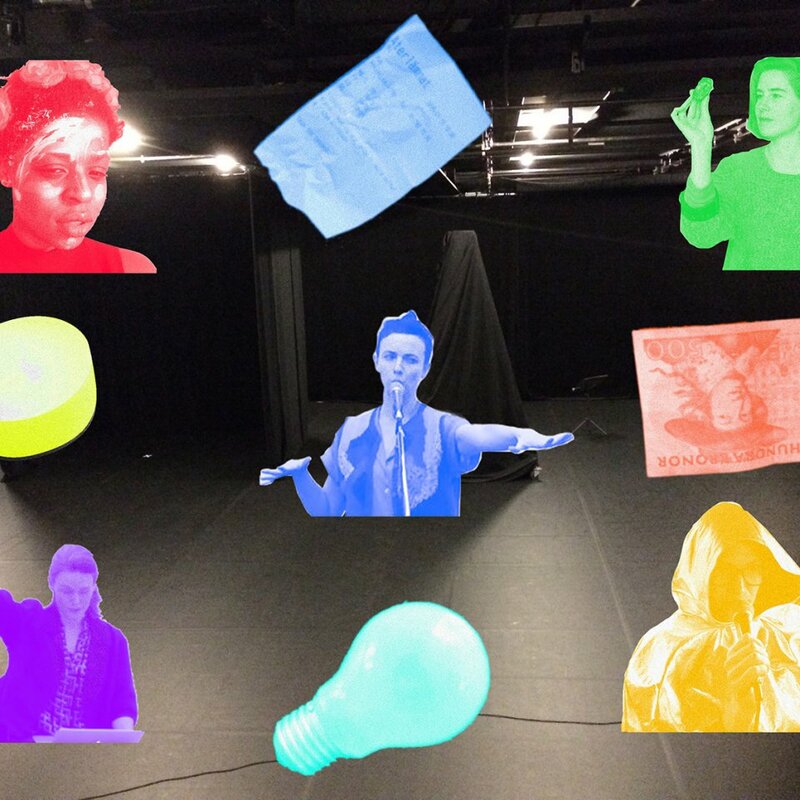 Manon regularly takes part in the processes of other artists as a mentor, advisor or dramaturge and sees her role as an interpreter morphing into that of a facilitator of collaborative processes. In her current works Manon revisits the notion of ‘interpretation’ in terms of an ecology of practices and intelligences, self-organization and interactive agencies. Concept and scores: Manon Santkin, Moa Franzén and Tove Salmgren. Performers: Manon Santkin, Francine Agbodjalou, Moa Franzén, Kajsa Wadhia and Tove Salmgren. With support by Stockholms stad and in collaboration with MDT Stockholm and Köttinspektionen Dans. Administration: The artist cooperative Interim kultur. This presentation is part of the project [DNA] Departures and Arrivals, which is co-financed by the Creative Europe program of the European Commission.